This randomized study The Twin Birth Study: a multicenter RCT of planned cesarean section and planned vaginal birth for twin pregnancies 320 to 386/7 weeks, should help women understand that a planned vaginal birth is as safe as a planned cesarean section as long as the first twin is situated head first. Researchers studied more than 2800 women from 26 countries; and compared 1398 planned C-section births to 1406 planned vaginal births. Vaginal births were induced, and only twins 32-38 weeks — with the first twin situated head first — were eligible. 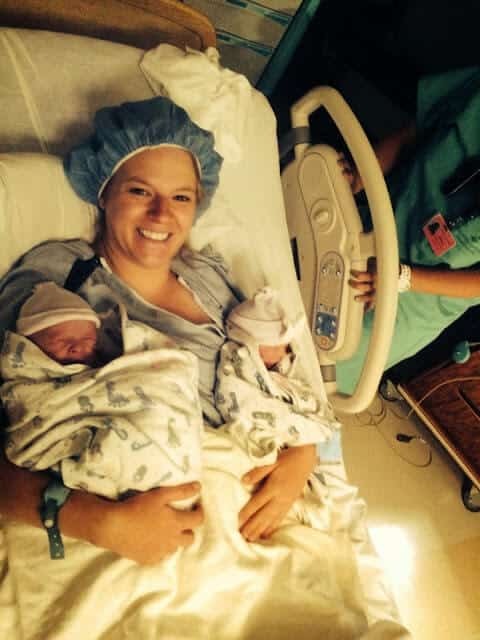 Their research reveals no advantage in choosing cesarean births in these types of twins. In fact, planned cesarean birth does not decrease — or increase — neither perinatal/neonatal death nor serious neonatal morbidity versus planned vaginal birth. “My advice to a woman pregnant with twins is that she should attempt to find an OBGYN that is trained in vaginal birth, as there is no harm,” said Barrett. The entire study can be seen HERE.